The study, which outlines 20 vendors, provides a comprehensive industry overview, highlighting where solutions in have been, where they’re headed, and what exactly each one offers. Gartner speaks to each solution’s strengths and weaknesses in an attempt to assist solution-seekers with their purchasing decisions. The included companies are grouped into four quadrants based on their ability to execute and on how complete their vision is. The names of each segment are as follows: Niche Players, Visionaries, Challengers, and Leaders. 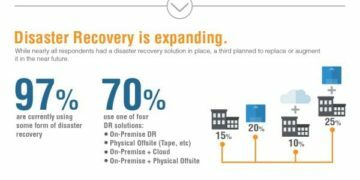 Unsurprisingly, Gartner found that organizations are increasingly selecting IT disaster recovery as a whole and DRaaS has specifically gained momentum for small and midsize organizations due to improved affordability and functionality. 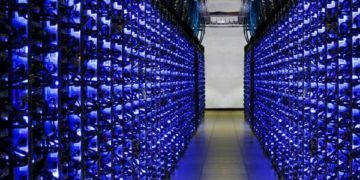 Gartner estimates the DRaaS market will nearly triple in the next three years to a revenue point of $3.4 billion by 2019. This report narrows the list of vendors down to just the ones that have a strong global presence and cater to the upper-end mid-market (500-999 employees) and large-enterprise (1,000 or more employees) environments. The report also excludes backup solutions that exist to work only with homogeneous environments, such as native tools developed by Microsoft or VMware for their own platforms. All of the companies included in Gartner’s newest Magic Quadrant can also be found in our Backup and Disaster Recovery solutions directory, so we can verify that the folks at Gartner did their homework. IBM has lead the pack for two years running, but iland has been inching towards their competitor, Sunguard Availability Systems, and was finally able to surpass Challengers quadrant to join those leaders. Gartner praised iland for it’s “high customer reference scores in a number of areas, including effectiveness of onboarding process, secure operations, service quality, quality of technical support, quality of professional services and service feature innovation,” but warns that Iland has, “limited experience with hybrid recovery configuration support”. The vendor dipped from the ‘leaders’ quadrant in 2015 into ‘Visionary’ positioning in 2016, with a significant loss in ‘ability to execute.’ Gartner warns that “Reference customers cited the need for improvement in both the flexibility of NTT Com’s service contracts, as well as in the initial service on-boarding process.” but notes that NTT Com’s DRaaS portal is highly functional and easy to use. Gartner added these eight vendors, Microsoft, Recovery Point, Tierpoint, Carbonite, Evolve IP, Infrascale, Unitrends, and Datto. Based on the provider’s services having positive attributes, in addition to being a ‘significant player in the market’, regarding market presence and/or technology innovation. Given Axcient’s large leap from visionary to leader, it’s easy to imagine that a company in motion, may stay in motion and make that push for completeness of vision to join IBM next year in the Magic Quadrant’s coveted throne. Though Gartner identifies market leaders, they are careful to point out that large market leaders are not always the right choice for a business. “A focused, smaller vendor can provide excellent support and commitment to individual customers,” according to the report. Outside of a packed Niche Players quadrant, the diagram does look a little sparse. However, backup software, especially solutions tailored for organizations in the enterprise will only ascend in popularity in the years ahead. We should see significant headway in enterprise backup adoption by the time Gartner releases the 2017 version of this report. Learn more about DraaS solutions, and what to expect from a quality solution provider.